Along with the many outdoor sporting activities available to those visiting or living in Park City, there are other engaging events held in Park City proper. One you and the family may want to catch this summer is the Park Silly Market. You can check out the market for yourself on any Saturday through September 23. However, the Park Silly Market will not be held on August 5, 12, and 19. 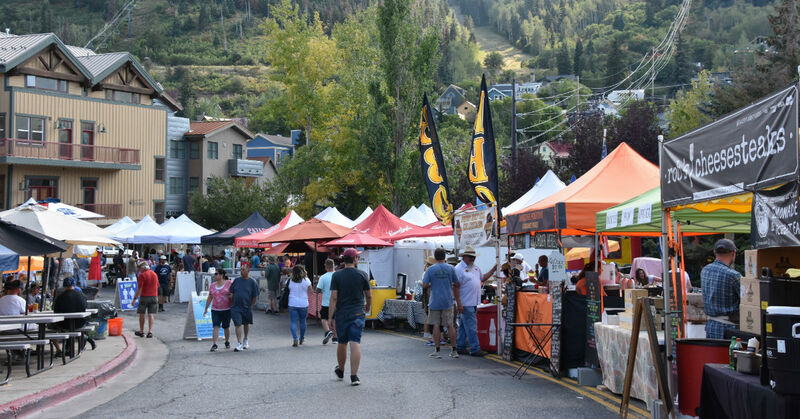 Due to the growing popularity of the Park Silly Market, not only are locals and Park City visitors attracted to the event, but also those from the surrounding areas. To make sure you and your family are able to enjoy this event, we have some recommendations. Dress in layers – As Park City is located high in the Wasatch Mountain Range, the weather can be volatile. So, even though the forecast may say it will be in the 80s, bring a jacket just in case. Watch for animals – Leashed dogs are welcome at the Park Silly Market. While event organizers encourage dog owners to be responsible, it is best that you keep an eye out for our canine friends. Plan your parking – Parking fills quickly at the Park Silly Market. You can park for free at the Park City High School and ride the free City bus to the market. For more details specifically about the Park Silly Market, be sure to check out their website. If you have fallen in love with Park City and want to find the perfect home here, contact Brad Jensen. He has decades of experience working with high-end Park City real estate and can find you the right place which suits all of your needs.